Integrating email notification is useful when you want to analyze redemptions in the real time. You can select which notifications should be sent. For example, you can filter out all the successful redemptions and be notified only about the failed ones. Let's see how you can set it up with Zapier. 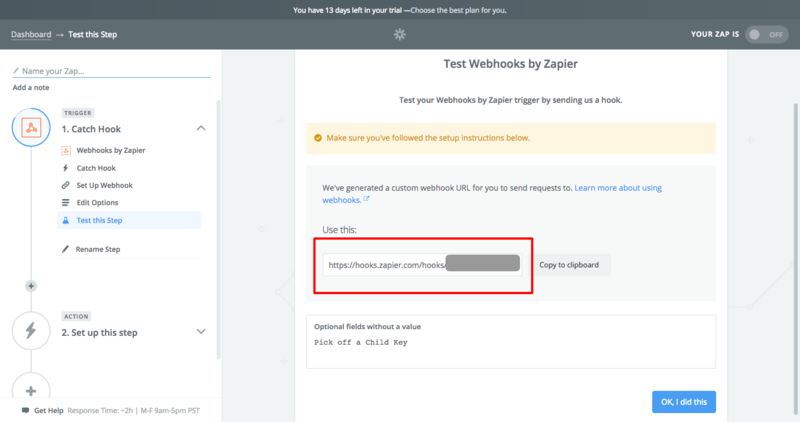 Paste the Zap's URL to your Project Settings and test the connection. 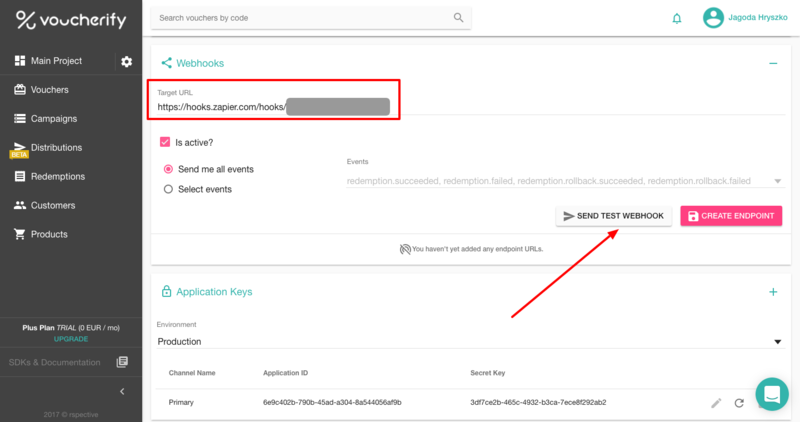 If it's successful, select the events you want to be notified about and click CREATE ENDPOINT. 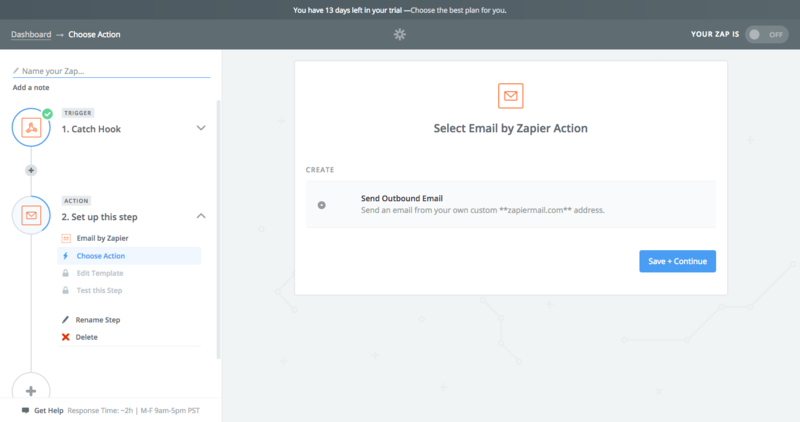 Select the Email by Zapier Action or Gmail Action and proceed to refine the email's template. Congrats! From now on your inbox gets notified about redemption details just when it happens. 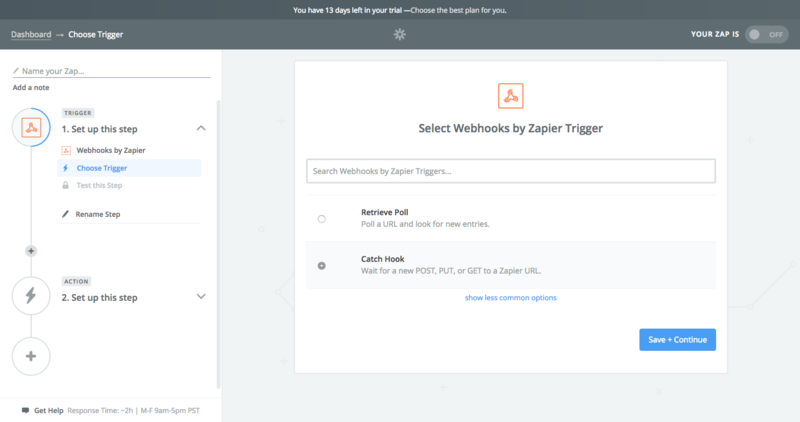 As demonstrated above, you can use the webhook trigger to work with any other Zapier Action. Read more about actions on Zapier's documentation site. Contact support@voucherify.io if you need assistance or have any questions.